In Los Angeles, we have a LOT of food trucks, there is one to satisfy any craving. The most notorious of all being the Kogi Truck. 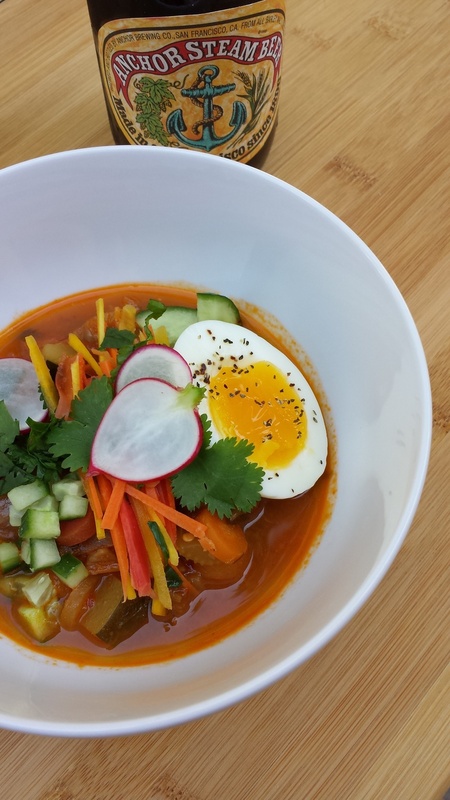 Kogi's cuisine is Mexican/Korean fusion much like population of Los Angeles. They specialize in dishes like, Korean Shortrib Tacos, Kimchi Quesadillas, The Infamous Blue Moon Mulita and Pacman Burger.. You must try any (or all) of these if you are ever in L.A. Which brings me to my recipe: Korean Braised Shortribs. 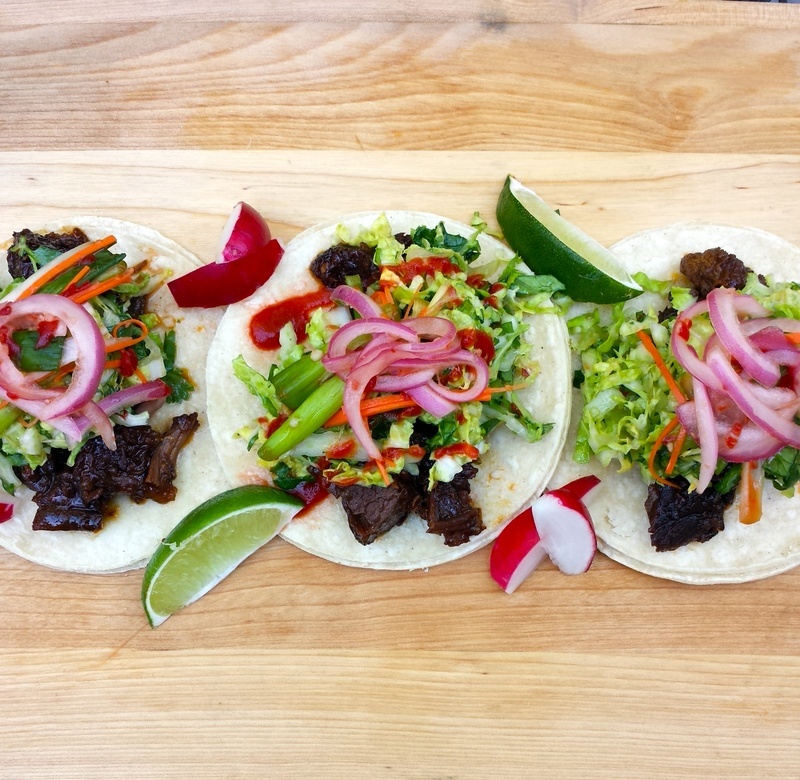 I was craving Kogi but havent had time to catch the truck lately so I made my own shortribs for tacos. 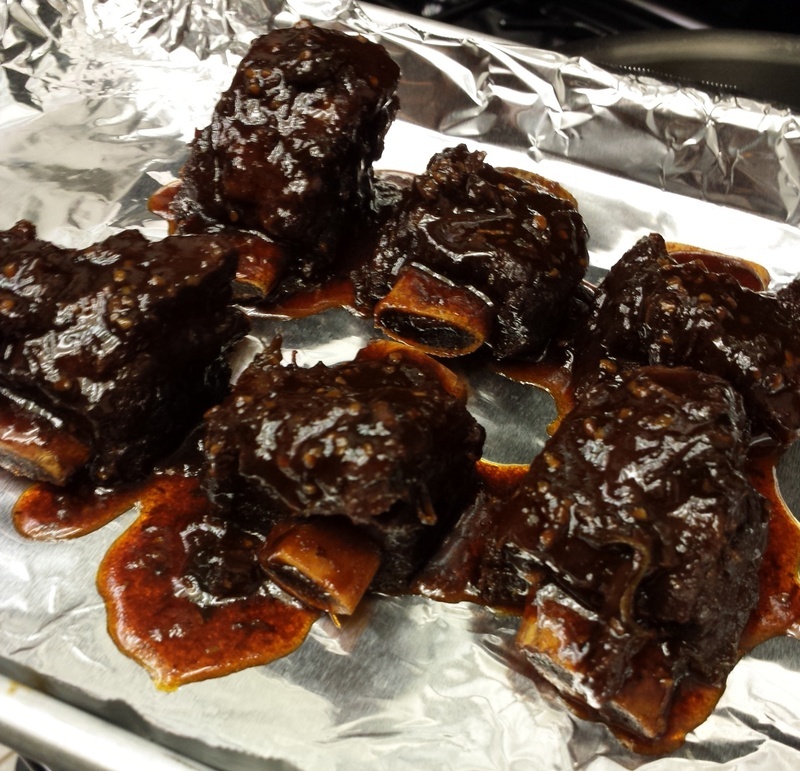 Here is my variation of their famous shortribs. 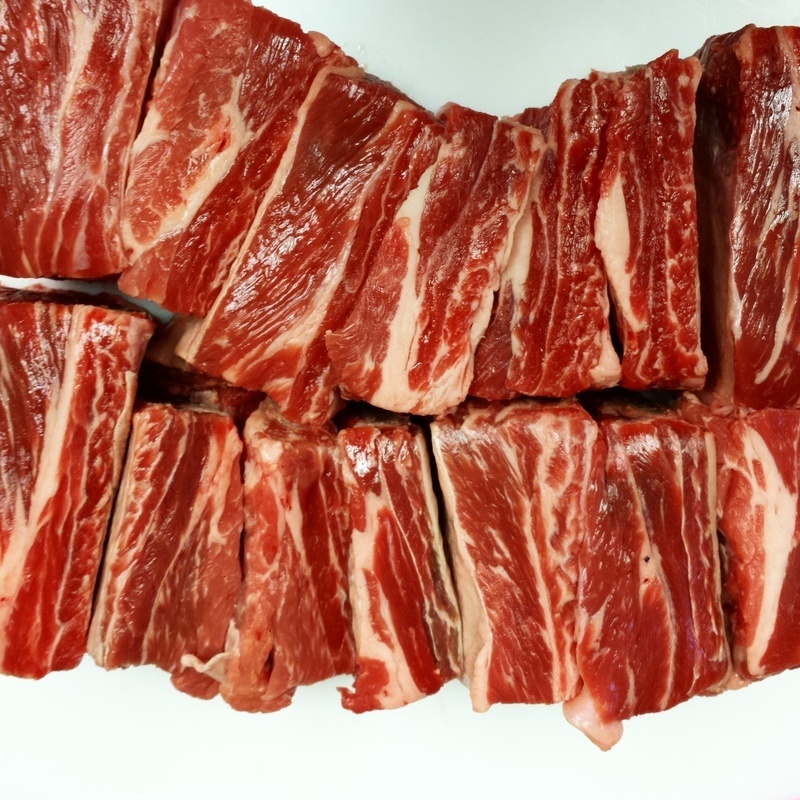 Remove your short ribs from the refrigerator, separate, pat dry with a paper towel and season with salt and pepper. In a large dutch oven or stock pot, heat 2 tablespoon sesame oil over medium high heat until hot. Add short ribs one by one beef side down into the pot. Do not overcrowd the pot, or stack the short ribs, our goal here is to get a nice sear on the meat side of the rib. Cook until golden brown and remove from the pot. You can do this in two batches if your pot is not large enough to sear off all of the ribs at once. Reduce the heat to low, in the same pot, add one more tablespoon of sesame oil as well as onion, garlic, and ginger. Saute over low heat for 2 minutes until tender. Move onion, garlic and ginger to edges of pot with a spoon. Return short ribs to the pot beef side down as you did the first time. It's okay to stack a few on top of each other this time around, or crowd the pot to get as many as you can in there since we will be braising. Once your ribs are all added to the pot, return the heat to medium-high and add in your remaining ingredients: gochujang, garlic chile paste, brown sugar, soy sauce, vinegar, beef stock and cilantro. Bring ingredients to a boil. Once boiling reduce heat to a low simmer. Cover with heavy lid. Simmer for 4.5 hours until fork tender. Note: Check on short ribs every hour, if liquid gets lower than 1/2 inch, add 1/3 cup water or broth. Pre-heat oven to 425. Remove short ribs from pot and place onto a baking sheet beef side up. Place onto middle rack of oven and allow to roast for 15 minutes until the utside edges are crispy and dark brown. Baste with warm cooking liquid and serve. Heat a large stock pot over medium-high heat for 30 seconds. Add sesame oil to pot and add chopped onions, garlic and ginger. Move heat to medium and cook onions until soft and translucent. Add in roasted Kimchi to pot and stir to combine. Add second batch of ingredients to pot: celery, carrot, zucchini, sugar, Doengjang and Gochujang. Stir until all ingredients are combined and cooking in pot. Add soy sauce and stir until all ingredients are coated. Add vegetable stock to pot and stir until incorporated. Bring soup to boil, then reduce heat to a low simmer. Simmer covered for 1.5 hours.